Probably the only thing I like better than great songs is great COVERS of great songs. So today’s post is a meditation on this subject. Bear with me, there are cool videos at the bottom. 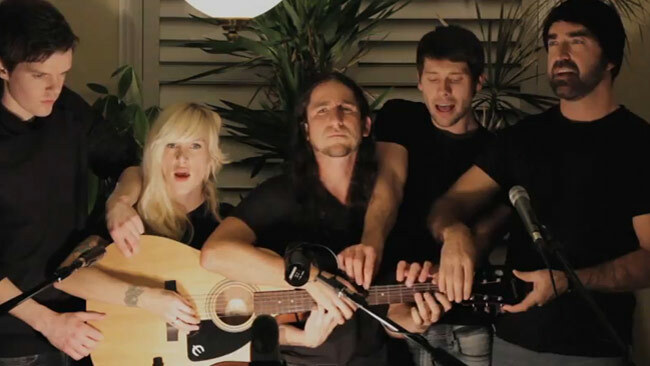 So obviously Walk Off the Earth’s five-people-playing-an-entire-song-on-one-instrument thing is what made this particular cover blow up, but the thing that keeps me hitting “repeat” on this one is the facial expressions! They just completely nailed the tone of the song and when I watch them I’m like, yeah, I AM so over you, (fill in the blank)! You ARE just somebody that I used to know! If you’ve known me for more than five minutes, you probably know I love acapella music. There is no shame and element of guilty pleasure–I just think it’s downright cool. Not only is it beautiful and generally performed by people with actual talent–the form requires musical interpretation that often wakes me up to a song I thought I knew. This past fall I got really into The Sing-Off, so when someone sent me this video of Pentatonix (winners of this past season, who I love even though I was totally rooting for The Dartmouth Aires, I mean come on) covering the song I was like !!!!!!! before I even opened the link. No list of covers is complete without my very most favorites: the incredibly talented, enviably cool, infectiously joyful kids of the PS 22 Chorus! Love the list! Although, I must say, in my opinion, the best cover of all time is Killing Me Softly by the Fugees.